665,000: For the first time in several years, the USPTO reduced the backlog of unexamined patent applications to below 665,000, a remarkable achievement considering the 5 percent increase in patent applications filings in FY2011. Through improved practices and processes, we are on track to push the backlog down even further, helping deliver new technologies to the marketplace faster, which in turn spurs job creation and drives economic growth for our country. 500: Moreover, under our Green Technology Pilot Program, the USPTO recently issued the program’s 500th patent for a wind turbine rotor blade—yet another important step forward in advancing the Administration’s goal of doubling our nation’s renewable energy capacity. Through our commitment to green technologies, environmental quality and renewable energy, we are able to spur innovation and help create new jobs that provide our world with sustainable alternatives to harmful energy practices. September 16th: In addition to these accomplishments, this year also marked the historic passage of the America Invents Act (AIA). This sweeping legislation, signed into law by President Obama in September, equips the USPTO with the resources necessary to operate an efficient IP system that processes patent applications and issues high-quality patents quickly. By transitioning to a simpler, more objective, and more inventor-friendly system of issuing patents, the new law helps ensure that independent inventors and small entities have greater clarity and certainty over their property rights and will be able to navigate the patent system on a more equitable footing with large enterprises. 12 months: The AIA also allows the USPTO to implement a fast-track examination option under which the patent examination process will be completed within 12 months. Getting a key patent can be critical to an entrepreneur hoping to raise capital and grow their business, with 76 percent of startups in the U.S. reporting that venture capital investors consider patents when they make funding decisions. So with over 2,000 applications already submitted under the new acceleration program, businesses of all sizes are already leveraging the new tool to develop, grow and market their products and services with unprecedented swiftness., under the AIA. 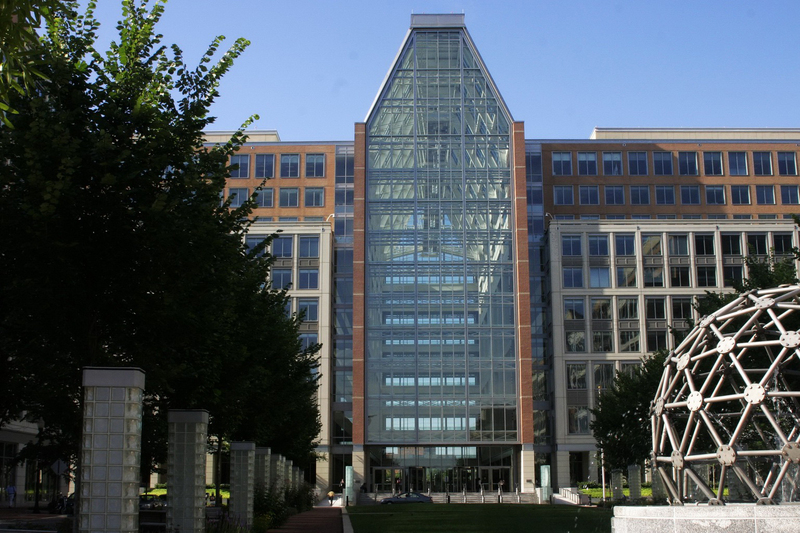 8 Million: While all of these efforts point to our country’s commitment to innovation, perhaps no one event of the year tells that story better than the USPTO’s issuance of Patent No. 8,000,000—a sight restoration tool that gives the blind greater independence in their daily lives. It took 75 years to get from patent No. 1 to patent 1 million, yet just over five years to go from patent 7 million to 8 million. So beyond aiding the blind, this remarkable milestone is a testament to the enduring American spirit of innovation—a spirit that continues to unleash new breakthroughs, new markets and new economic opportunities. 2012: Looking ahead, we remain committed to building the world’s strongest Patent and Trademark Office and the new challenges we face in the year ahead. While continuing to improve the diversity and talent of our workforce next year, we will continue to focus on copyright policy in the digital era, in order to ensure that the 21st century best balances strong IP protections with the free flow of information over the Internet. Additionally, in 2012 we’ll draft a broader-based “National IP Strategy” to include the administration’s key IP priorities, our plan to improve patent protection for small businesses at home, and our efforts to increase our engagement with China on issues of IP enforcement. For all that we’ve accomplished and the great things yet to come, the credit is due to the talent, dedication, and innovative spirit of USPTO employees who are working hard every day to produce positive results for the American people and our economy. I couldn’t be more proud to be part of such an outstanding team of professionals, and I truly look forward to another historic year with the world’s first and only 21st Century Patent and Trademark Office. Submitted on January 4, 2012 - 12:00pm. i am an inventor aspiring to obtain patents and product placement in major chain stores and these new changes sound helpful in what seems like a complex process. thanks!